This moment will be forever remembered as the time when Australia rose above petty politics or succumbed to the will of egos and media titans. The NBN policy debate is at a critical point with far reaching effects for anyone working with moving image, on all screens. Nick Paine made national headlines with a petition to Tony Abbott post-election, collecting over 260,000 signatures of people requesting “The Liberal Party of Australia: Reconsider your plan for a 'FTTN' NBN in favour of a superior 'FTTH' NBN”. The petition itself is a fantastic explanation of the technical aspects being debated as well as links to many great online resources. This exercise seemed completely futile when the new Minister for Communications, Malcolm Turnbull, rejected the petition and essentially shut down discussion on the topic – Gizmodo republished this tweet exchange where he tied the NBN issue to the entire election. Metro Screen co-presents Indiegogo co-founder Danae Ringelmann and members of the team at a free talk in Sydney. RSVP for Tuesday 29 Oct for a night of crowdfunding know-how, community, and (of course) a few pints on the Indiegogo team. Join Kino Sydney for their annual filmmaking challenge, Kino Kabaret, presented in partnership with Metro Screen. Kabaret brings filmmakers of talents and skill levels together to create short films in only 32 hours. All participants will have access to, locations, tech and skill workshops, filmmaking specialists, musicians, actors, and professional filmmaking equipment generously made available about Metro Screen. Films For Action uses the power of film to raise awareness of important social, environmental, and media-related issues not covered by the mainstream news. Their goal is to provide citizens with the information and perspectives essential to creating a more just, sustainable, and democratic society. 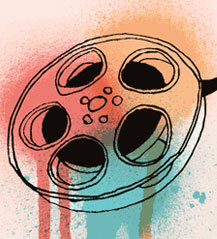 The site features over 1500 of the best films and videos that can be watched free online. Film and content makers looking for equipment or studio facilities can apply for the Metro Screen Jump Start production subsidy to help balance the production budget. Jump Start provides $45,000 worth of production subsidies over three application rounds. The next round closes 4 Nov.
Book your tickets for the Metro Screen Pop Up Cinema & Bar - The Lena Dunham Love In 2 Oct, Feed Me Weird Things 9 Oct or Prototype 16 Oct get in quick. The next installment of Freelance Fridays at Metro Screen is happening Friday 18 Oct, book your spot and meet like-minded creative types. Freelancing From Scratch one-day workshop will demystify the logistics of working as a freelancer and give you an overview of what you need to know to get rolling. Join Monica Davidson 26 Oct and get your start-up off the ground. Come along to the Info Session 7 Nov to go through your options for a career upgrade in 2014. Learn about the Diploma of Multiplatform, Diploma of Screen & Media and the Part-Time Certificate IV in Screen & Media. The BeachTek DXA-5DA DSLR Camera Passive Dual XLR Mic Adapter provides professional audio results when capturing video with a DSLR camera. Connect the DXA-5DA to the microphone input of the DSLR camera and connect up to 2 mono microphones, or a single stereo microphone. 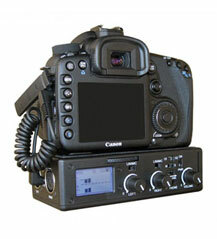 Controls for volume and mic/line level operation are featured. The DXA-5DA may also be used with regular camcorders.